Plattekill offers a variety of Children’s Lesson Programs for a range of ages and through all stages of the learning process. – HALF-DAY Programs are offered from 10am-12pm or 1-3pm. – FULL-DAY Programs are from 10am-12pm and 1-3pm. Our SNOWKIDDING program teaches children the fundamentals of skiing or snowboarding by combining fun “on-snow” games and learning exercises in a group setting. SNOWKIDDING is an introduction to basic snowsports skills appropriate to childrens’ development and gets kids comfortable with their equipment and sliding. The lesson takes place in our Learning Center and aims to teach children how to ride the Learning Center Carpet Lift and begin controlled speed and turning to prepare them for the upper mountain progression. This group may be broken out into smaller groups based on the level and skills of the children signed up for a given session. Our SNOW TIGERS program is geared toward the young skier or snowboarder who is able to make controlled turns, can stop, and is ready for the upper-mountain beginner terrain. Student-to-teacher ratio is 4:1 or less, with lots of individualized attention for this fast progressing group. SNOW TIGERS bypass the Learning Center and go right to the upper-mountain lifts. Our JUNIOR LEARN TO SKI OR BOARD program is an introductory class for a slightly older age group and teaches the “never ever” skier or snowboarder the basic skills for moving, stopping, and controlling speed on our Learning Center terrain. Package includes full-day Learning Center Carpet Lift Ticket and complete rental package (including helmet) if selected. 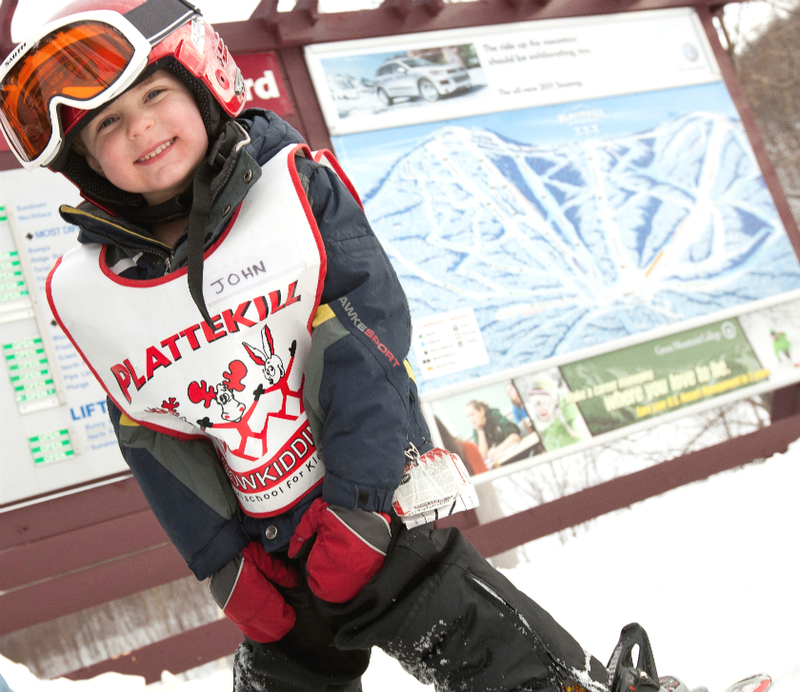 Our MOUNTAIN MEISTERS program is geared for young skiers or snowboarders who feel comfortable on upper-mountain beginner terrain. The program teaches the fundamentals of good skiing and riding and works to fine-tune skills and prepare students for more advanced terrain. Package includes full-day Junior Lift Ticket and complete rental package (including helmet) if selected.